Last winter, Jason Snell predicted the Mac's course for the year. How much did he get right? In 2015 I advocated for a new name for the Mac operating system a few times, and with the release of watchOS and tvOS, it seemed quite possible that a renaming–from OS X to macOS–was in the offing. On this point, I read the tea leaves correctly. This fall Apple released macOS Sierra, and once again the software that drives the Mac bears the name Mac. As it should be. Nothing quite as bad happened to the Mac App Store in 2016 as in 2015, so on that score, the Mac App Store had a better year. But did it improve? Not really. The same old issues remain. Apple doesn’t seem interested in making the Mac App Store anything it’s not, nor diverge it too far from the iOS App Store. By the second half of 2016, I hoped, Apple would have made the Thunderbolt 3 port (which shares plug compatibility with USB-C) standard issue across all new Macs. I got this right, but I was envisioning more of a roll-out that started mid-year and continued through the fall. Things happened a little later than that schedule. The first Thunderbolt 3 Macs, the new MacBook Pro models, arrived in the fall of 2016. 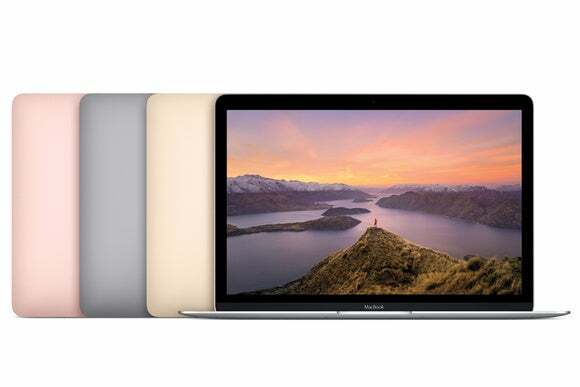 It happened a bit later than I expected, but I would guess that we’ve reached a transitional moment for the Mac, and 2017’s Macs are unlikely to offer anything but USB-C or Thunderbolt 3 ports. My hope was that Thunderbolt 3 Macs would be capable of driving a 5K external display, and that hope has been borne out. The only catch: the 5K display that Apple promotes for use with those new MacBook Pros is made by LG, not Apple. I’m going to give myself partial credit for this one, given that Apple worked with LG on the design of the display and, depending on which rumors you believe, the project may have originally been intended for an Apple-branded display. Either way, Apple is now flogging a 5K external display for Thunderbolt 3 Macs, and that’s a good thing. Instead of another port, the MacBook got another color. While the MacBook did get an upgrade in 2016, it wasn’t the upgrade I had been dreaming of. (Nor was it the year’s biggest tech disappointment.) I was hoping that a new MacBook model would swap USB-C for Thunderbolt 3, or at least add a second USB-C port, and improve the keyboard, too. We may very well see that tweaked MacBook in the spring of 2017, but 2016 only brought a small speed boost. I had big dreams for the 2016 model iMacs, namely that the non-retina version of the 21.5-inch iMac would get eliminated or pushed down to a single, low-cost model at the bottom of the line. Missed it by that much: There were no new iMacs in 2016 at all, as Apple failed to update its flagship desktop annually as it had the previous year. There’s another chance for Apple to fulfill my dreams in 2017, when presumably the iMac will finally get its due. And Thunderbolt 3 ports. I had hoped that this year Apple would start pushing the price of flash storage down, and including it with the base configurations of more of its desktop computers, but given that there were no updates at all to Mac desktops in 2016, that hope was dashed. Traditional spinning hard drives are the biggest speed bottleneck on most computers, and the Mac would be much better if all storage was flash storage–or at the very least, if the lower-cost Macs offered Fusion Drives. It’s unconscionable for Apple to sell a Retina iMac with a slow spinning internal hard drive, but it does. That needs to change. 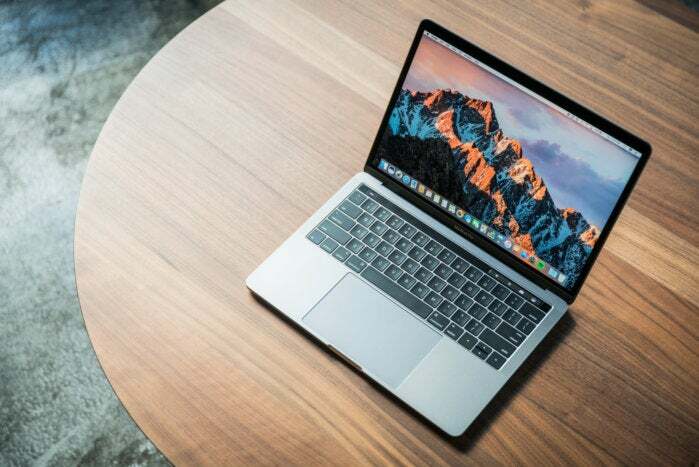 “People make a big deal about Apple being famous for abolishing outmoded technologies and forging ahead–floppy disks, optical drives, maybe even the 3.5mm headphone jack–but it’s clung to the classic hard drive too long,” I wrote a year ago. Yeah, I still feel that way. Whether Apple will have the courage to abolish those drives on the iMac and Mac mini (if it ever gets updated again) remains a mystery to potentially be resolved in 2017. 2016 also brought a few things to the Mac that I didn’t anticipate or ask for, most notably the Touch Bar on the new MacBook Pros. I also didn’t anticipate Apple choosing the MacBook’s keyboard as the basis of the new MacBook Pros, having figured that the Magic Keyboard was a sign that Apple was rethinking its decision. Sometimes wishful thinking gets the best of us all. Next week I’ll present my wish list for 2017 in this space. I’m hopeful that next year will bring some nice surprises for Mac users. After this year, it would be quite a relief.